Free shipping. Buy direct from HP. 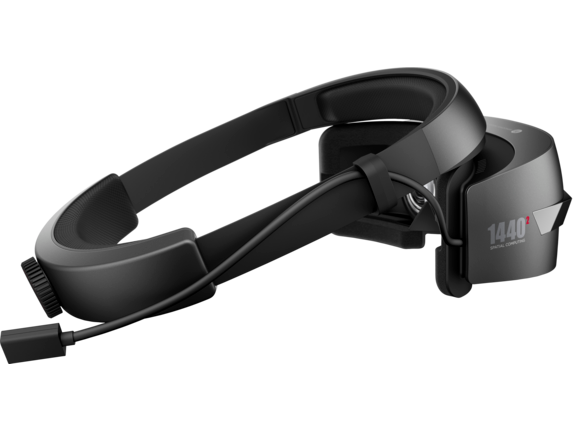 See customer reviews and comparisons for the HP Windows Mixed Reality Headset - Professional Edition. Upgrades and savings on select products. Dive into the world of mixed reality and blur the line between real and digital. Designed to deliver cutting-edge visual quality and superb comfort, the HP Windows Mixed Reality Headset - Professional Edition puts the magic of immersive computing within reach. 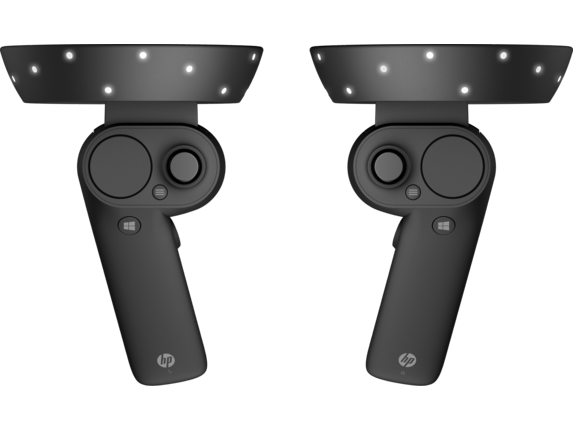 With integrated motion tracking, two 2–in–1 cables of different lengths that pair HDMI 2.0 and USB 3.0, and compatibility with Windows® Mixed Reality Ultra PCs, you go from out-of-the-box to total immersion without the hassle of setting up additional peripherals. Get ready for a truly immersive experience thanks to 1440x1440 resolution per eye and up to a 90Hz refresh rate. 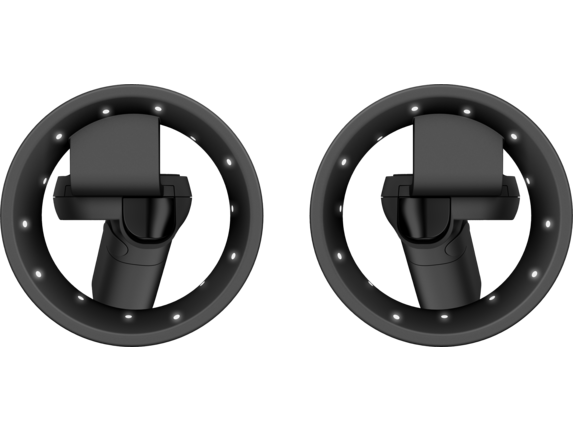 Plus, liberate your movement with six degrees of freedom, no tracking boundaries, and included wireless motion controllers. The perfect combination of comfort and convenience, this headset comes with easy to clean, replaceable face cushions. It also uses a double-padded headband, easy adjustment knob, and front-hinged display for a superb experience for one or more users. Get ready for a truly immersive experience thanks to 1440x1440 resolution per eye and up to a 90Hz refresh rate. Plus, liberate your movement with six degrees of freedom, no tracking boundaries, and included wireless motion controllers. The perfect combination of comfort and convenience, this headset comes with easy to clean, replaceable face cushions. It also uses a double-padded headband, easy adjustment knob, and front-hinged display for a superb experience for one or more users. 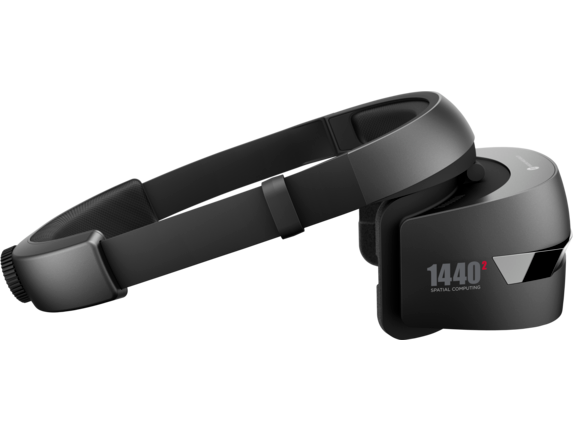 1 HP Windows Mixed Reality Headset - Professional Edition is not recommended for children under the age of 13. 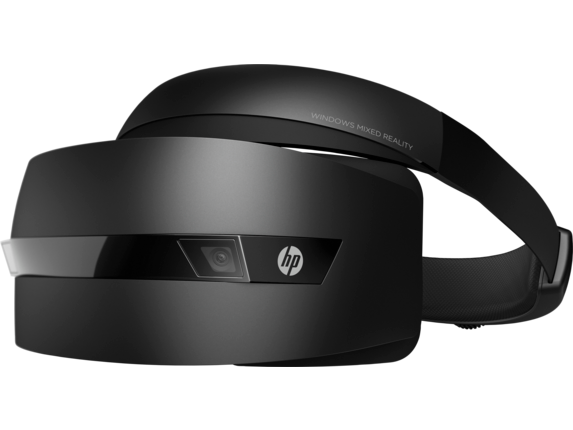 All users should read the HP Windows Mixed Reality Headset User Guide to reduce the risk of personal injury, discomfort, property damage, and other potential hazards and for important information related to your health and safety when using the headset. Windows Mixed Reality requires Windows 10 Fall Creator’s Update installed on the workstation or PC. Features may require software or other 3rd-party applications to provide the described functionality. 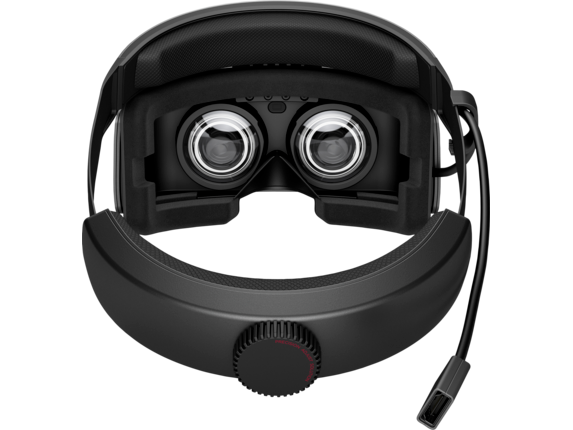 To minimize the possibility of experiencing discomfort using a VR application, ensure that the PC system is equipped with the appropriate graphics and CPU for the VR application. For HP workstation VR ready recommended configurations, see http://www8.hp.com/h20195/v2/GetPDF.aspx/4AA6-9646ENW.pdf 2 To enable full 90 fps performance, an HDMI 2.0 or later connection is required with the graphics solution provided by the PC. 3 HMD comes with one standard face cushion installed and 3 cleanable face cushions in the box. 4 See Microsoft Mixed Reality ready PC recommended minimum configurations at https://support.microsoft.com/en-us/help/4039260/windows-10-mixed-reality-pc-hardware-guidelines. 5 To enable full 90 fps performance, an HDMI 2.0 or later connection is required with the graphics solution provided by the PC.